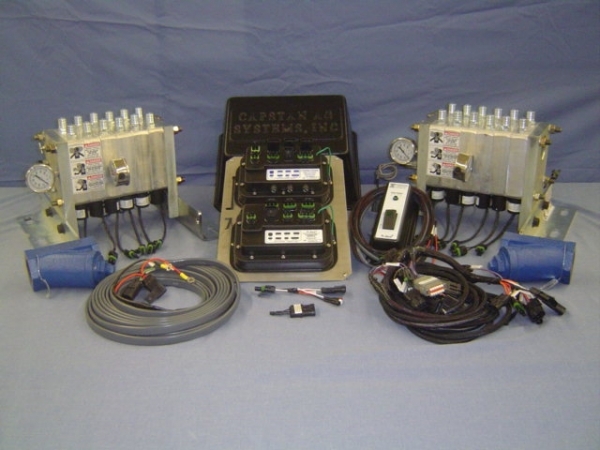 Capstan Ag Systems, a technology based company, specializes in creating new proprietary systems for the agricultural industry, particularly with chemical and fertilizer applications. Headquartered in Topeka, KS, Capstan’s inventive process involves research, engineering design and lab and field testing often working in concert with other experts in the field. 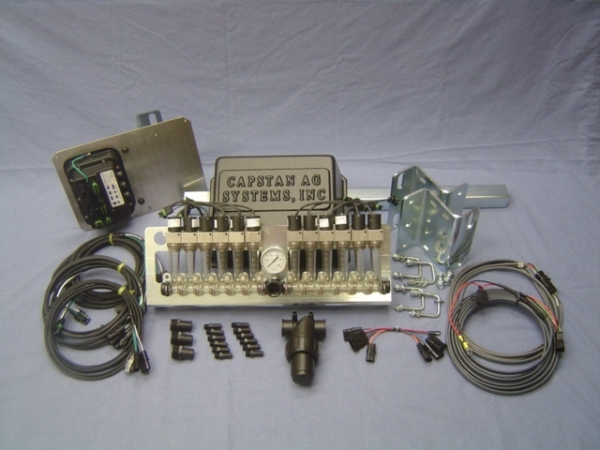 NJect LF is marketed by Capstan Ag Systems as the Next Generation in liquid fertilizer application technology. It is available as an after-market installation by Capstan dealers on any OEM model toolbar, planter or air seeder. NJect LF technology is a simple, clever automatic "orifice" changer. 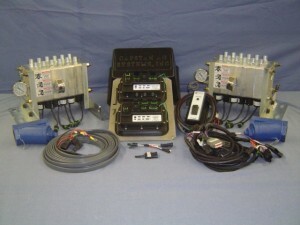 No more need to change orifices for different rates or speeds. In most cases, each toolbar LF outlet has its own PWM solenoid valve controlling that outlet flow which results in a low COV (coefficient of variance) across the implement independent of terrain. Thus, with accurate and even placement across the implement, immediate ON/OFF overlap control per toolbar section, and a 25:1 variable rate range, NJect LF advances fertilizer application technology to keep pace with modern fertilizer application demands. NJect is marketed by Capstan Ag Systems as the Next Generation NH3 fertilizer application technology. It is available as an after-market installation by Capstan dealers on any OEM model toolbar, planter or air seeder. Each toolbar NH3 outlet has its own PWM solenoid valve controlling that outlet flow which results in a low COV (coefficient of variance) across the implement independent of terrain. Thus, with accurate and even placement across the implement, immediate ON/OFF overlap control at each implement section, and a 25:1 variable rate range, NJect advances NH3 fertilizer application technology to keep pace with modern fertilizer application demands.